As we all watched Marc-Andre Fleury's emotional exit from town we wondered who would be back up to Matt Murray. 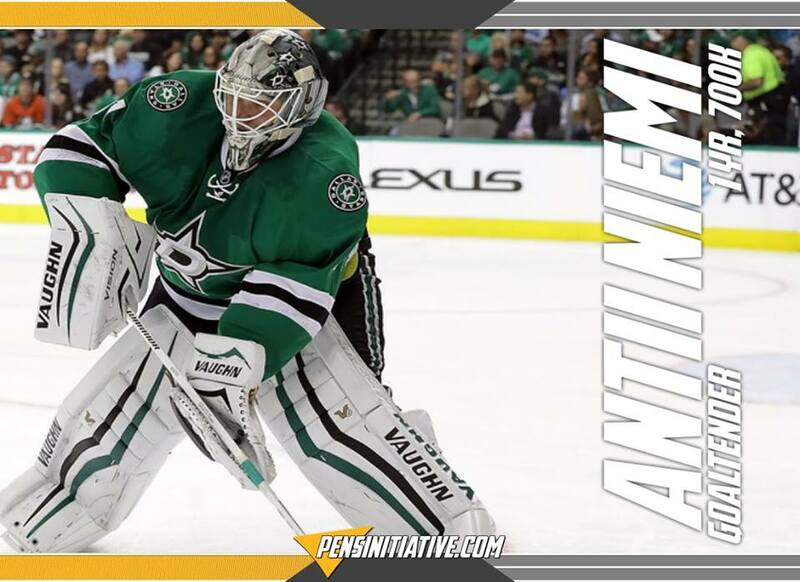 It seems we have our answer as word is out the Penguins are signing Antti Niemi. 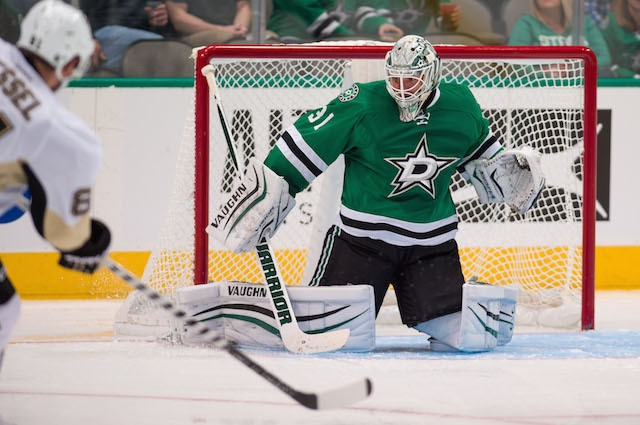 Recently bought out by the Dallas Stars, Niemi was in competition for their starting job with Kari Lethonen. Posting a sub-optimal .899 save percentage and a less than impressive 2.55 goals against average, Niemi racked up 12 losses to go with 12 wins. Once a starter for the Chicago Blackhawks and San Jose Sharks, the 33 year old Niemi will look to rebound and rebuild his standing in Pittsburgh as he backs up Matt Murray. We'll have more for term and money as it develops. Source confirms Niemi's headed to Pittsburgh. He'll back up Matt Murray. UPDATE: Deal is for one year, little over league minimum. Will have more on exact amount when we get it. Niemi deal is for one year. Little more than league minimum. Don't know exactly how much, but dollars not terribly high.